Legendary magician and actor Ricky Jay has passed away. He was 72-years old. Jay died at his home in Los Angeles on Saturday from natural causes. Ricky has been hailed as one of the greatest sleight of hand artists of all time, and was known for his crazy card and memory tricks. He was listed at one time in the Guinness Book of Records for throwing a playing card 190 feet at 90 miles per hour. In addition to his magic work, Jay was also a gifted writer, actor, and consultant. Little is known about Richard Jay Potash's early life. He was born June 26th, 1946 in Brooklyn, New York. He didn't speak about his childhood very much at all to the public. He only spoke about his parents one time, and it was a funny story about switching his dad's toothpaste with Brylcreem. His grandfather, Max Kurtz, was an accountant and an amateur magician on the side, which is more than likely where the extremely private Ricky Jay found his love of the art. He has stated that he got into the world of magic at the age of four after observing his grandfather and his friends. In 1953, at the age of seven, Ricky Jay appeared on the TV show Time for Pets, and it is believed that he is one of the youngest magicians in history to perform on television. Additionally, Jay is one of the first magicians to perform in comedy clubs and is also one of the first to share the bill with rock and roll bands. He once performed with Ike and Tina Turner along with Timothy Leary, who was lecturing about the powers of LSD. From there, James started to branch off into getting Hollywood gigs. Ricky Jay took his talents as an actor to the big and small screens throughout his life. He appeared in 1999's Magnolia as the narrator, Tomorrow Never Dies, Boogie Nights, and worked on several of David Mamet's projects, including, House of Games, Homicide, Things Change, State and Main, and Heist. Jay also worked on HBO's cult favorite Deadwood during the first season as recurring character Eddie Sawyer, who was a card sharp, and wrote the episode Jewel's Boot Is Made for Walking. 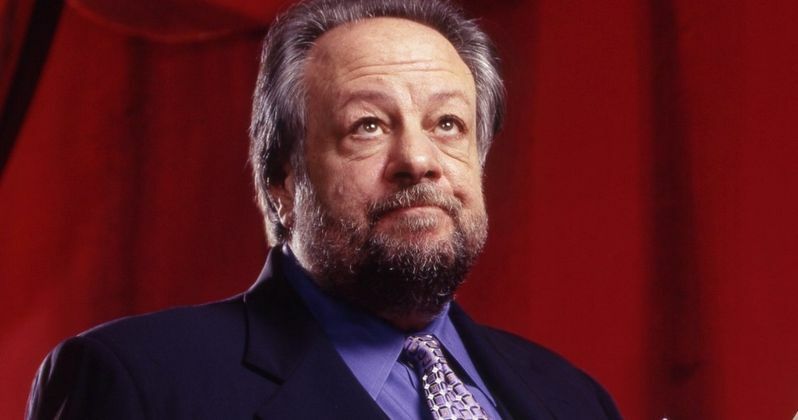 Ricky Jay also served as a consultant on several movies, starting with Francis Ford Coppola's production of Caleb Deschanel's The Escape Artist. He also taught Robert Redford how to manipulate coins for The Natural and worked on Ocean's Thirteen, The Prestige, and The Illusionist. Jay was also the subject of a 2012 documentary, Deceptive Practice: The Mysteries and Mentors of Ricky Jay, which has received rave reviews from critics. If all of that wasn't enough, Ricky Jay also gave lectures throughout his life about magic at places such as Harvard University and USC. Jay was truly one of a kind and he will be missed. This news was first reported by The Hollywood Reporter. Rest In Peace, Ricky Jay. Ricky was a raconteur of impeccable intelligence and humor--it was that wit that lubricated and illuminated his act. He was a student of the history of magic, and a supreme talent. And a friend. RIP the master. R. I. P. Ricky Jay. Age 70. A great artist. RIP #RickyJay The greatest: https://t.co/fqZc1zQTK5 Classic New Yorker profile: https://t.co/4g2rV4MNjN Ricky to Greg Kinnear's Captain Amazing in "Mystery Men": "I'm your manager, I'm not a magician." I was blessed to have the legendary Ricky Jay as a consultant on Rogue Nation. An off-handed comment he made inspired the climax of the opera sequence. It’s safe to say it would not be the same scene without him. He was the greatest of a vanishing breed. Oh man, Ricky Jay. Just a genius. One of the best who ever lived. We’ll all miss you, Ricky. Oh man. LARB asked me a few years ago to interview Ricky Jay and I reached out to his publicist to set it up; the interview never happened but I ended up on his publicist’s spam list and still get like 2-3 emails a week from her and this is also a story of a good Ricky Jay trick. I am sorry to share that my remarkable friend, teacher, collaborator and coconspirator is gone. Folks: there was no one like Ricky Jay. So glad I got to spend real time with him, listen to him, learn from him. What Happened to Boogie Nights Most Famous Prop?